Great for weddings, corporate parties, birthdays and other special events! 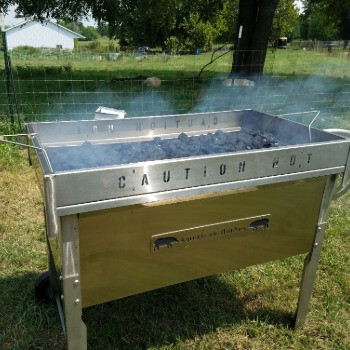 There is nothing like the wow factor of roasting a hog where everyone can enjoy the site and smells of the celebration. 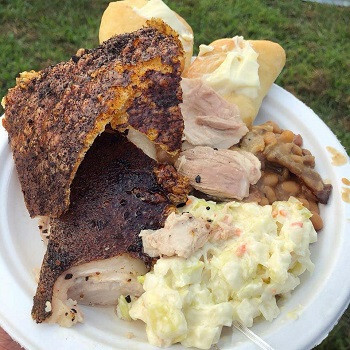 Hog roasts are known to cause smiles and form lifetime memories. We select the perfect size whole hog raised on our farm and have it prepared by a USDA processor. 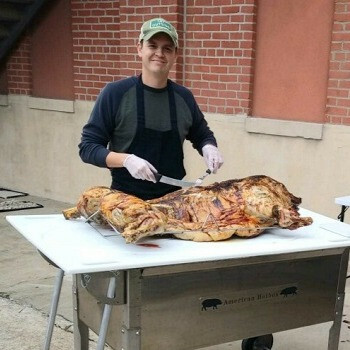 We then bring the hog to your event location and roast it onsite! 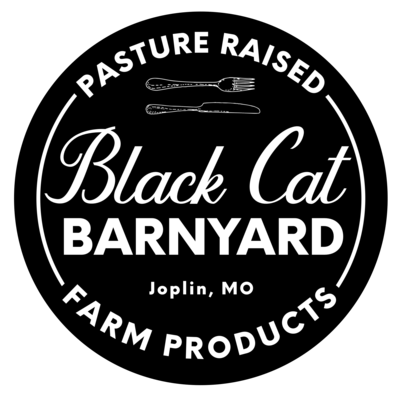 We have several options ranging from roasting the hog to providing the full meal experience with sides, drinks, and cutlery. We can accommodate and serve 50-100 people depending on size of event and options. Whole hog roast is $8.75/person. Minimum charge of $700. We arrive early the day of the event and roast the pig for you. When then carve the pork and serve buffet style with BBQ sauce and dill pickle. We still roast the host onsite and also provide the full meal. You get a baked roll and choice of two sides, two drinks, and dessert. Disposable plates, silverware, and napkins included. Price is $13.25/person. Minimum charge of $1000. We are taking reservations for 2019 so reserve your event day now! 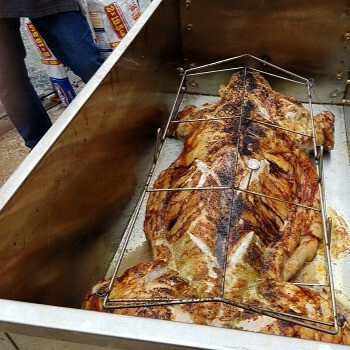 Contact us to schedule your hog roast or for more information!